Class A chimneys are metal chimneys that are suitable for use with close clearance to combustibles. Most class A chimneys can be as close as 2 inches to combustible materials. Those listed to the UL 103HT standard are able to withstand 1000 ° F continuously, cans withstand heat up to 1700 ° F for fairly long periods, and can handle 2100 ° F for up to an hour. 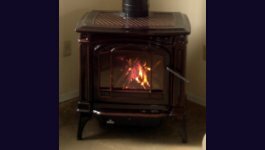 They are used to safely carry exhaust gasses from fireplaces, wood stoves, oil heaters, and even gas appliances to the outside of the building. These are often called “All Fuel” chimneys. Class A chimney is exemplified by its multiple walls. It comes in two varieties; solid insulated and air insulated. Often it has 3 walls, although, it can have as few as two or as many as four.The inner wall, or the flue, is always stainless steel. The middle wall is usually galvanized metal. The outer wall is often also galvanized metal, but is sometimes stainless steel. Class A chimneys are less expensive than most masonry chimneys for new construction. They are much more quickly installed. A Class A chimney is a superior choice for those appliance installations where no existing chimney is available since they can go just about anywhere. Class A chimney can be installed in the middle of a house or on the outside of the house. 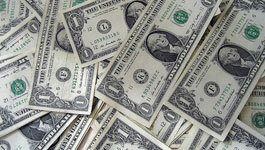 If on the outside of the house, it can be left bare, or it can be enclosed in a chase. With its low clearance to combustibles, the chase can be as simple as framing with siding! The manufacturer is clearly identified. These conditions are seldom possible. Labels get removed, worn away, or become illegible. 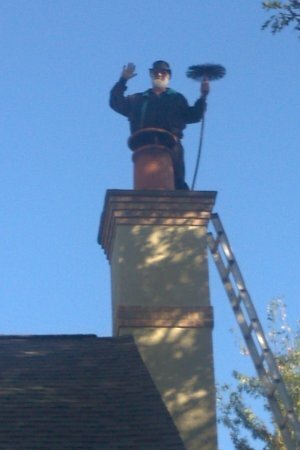 Most often, an entire chimney must be replaced. To make matters worse, some Class A chimney is proprietary. That means it was made by a manufacturer specifically for their appliance. When such Class A chimneys become damaged, if they are no longer available, then even the appliance must be replaced. Swift prefers to use Duravent Duratech Class A chimney whenever possible. This is a 3 wall chimney. The outer wall is available in either galvanized metal or stainless steel. We use galvanized outer wall where the chimney is totally enclosed. We use stainless steel outer wall where the chimney will be exposed to the weather and sunlight. It has ceramic fiber insulation between the inner and middle wall. Because of the compressible nature of the ceramic fiber, this chimney survives chimney fires better than most others. The sections have a connection than can be separated without being destructive. Unlike " snap lock " connections, we can easily replace a section if the need ever arises. Duratech is listed to the UL 103HT standard. B-Vent is another multiwall metal pipe. It only has two walls. The inner wall is aluminum. B-vent is suitable only for cetain gas burning appliances. Appliances using B-vent have cooler exhaust gasses. 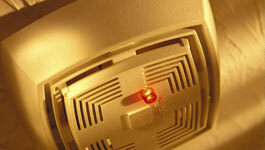 Using B-vent on the wrong type of appliance is a serious hazard. It can be easily confused for Class A chimney or pellet vent. It has a close cousin known as L-vent which is used for oil fired appliances.